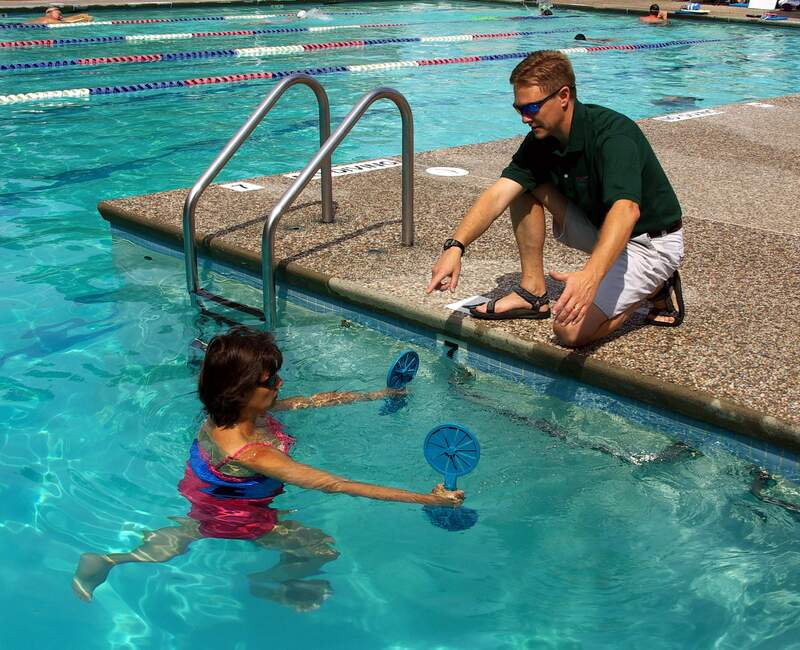 Therapeutic care in the water provides greater control over movement with less pain. Water provides 3 important elements: buoyancy, hydrostatic pressure and viscosity. Buoyancy helps unload a painful joint by “lifting you up” and thus allows you to increase range of motion (ROM), flexibility and mobility. Viscosity provides resistance to allow you to work on strengthening and aerobic conditioning.